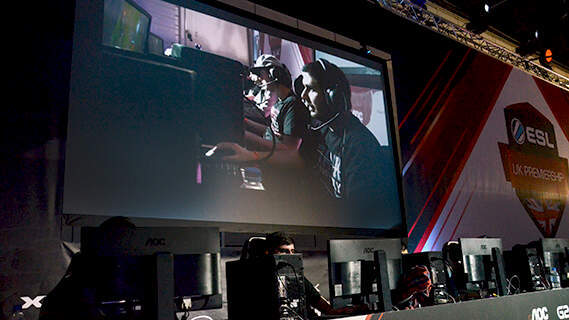 Задача: eSports organiser, ESL, needed a bright Full HD projector with perfect picture quality for its main stage at the MCM London Comic Con event in May. Решение: Optoma’s EH503 ProScene projector was installed with a short throw lens. This allowed the organisers to rear project the imagery ensuring the stage remained clear for the gaming commentators and prize presentation. Результаты: Visitors to the event were able to watch the teams battle it out and experienced the nail-biting final on the big screen.